We watched this video last night. We had a great conversation afterwards. We thought that you might like to watch it too. you can watch/download the video here. 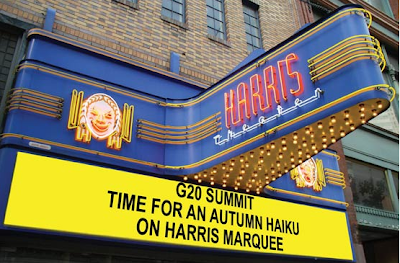 The winning haiku will be put onto the marquee of the Harris Theater during the G20 summit, while the theater is closed. Deadline is Sept 11, 2009. The G20 Summit is being held in Pittsburgh on September 24 & 25. The Harris Theater is part of Pittsburgh Filmmakers. Pittsburgh Filmmakers is a nonprofit corporation designed to encourage the creation and understanding of media for noncommercial artistic and literary purposes. To this end, Filmmakers offers a curriculum of courses in film, video, and photography to university and independent students in the Pittsburgh region. 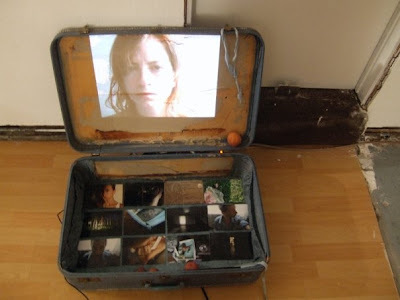 Filmmakers also exhibits the work of prominent photographers and filmmakers in its two galleries, Melwood Screening Room, Regent Square Theater and Harris Theater. A key component of Filmmakers’ mission is to provide equipment access and funding for independent media artists. Thank you! 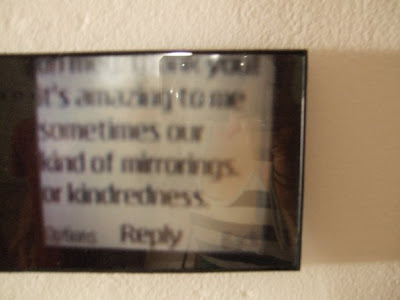 And, good to meet you! Thanks to all of you who stopped by our "garage sale" yesterday! It was great to have our door open for the day , an opportunity to meet many of our lovely neighbors. I am sure that we will see you again soon. 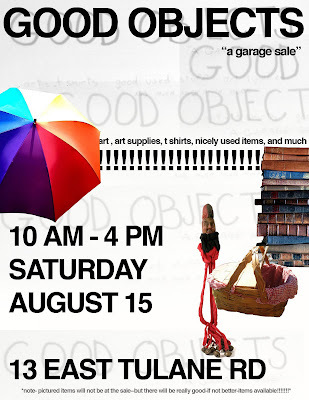 GOOD OBJECTS "a garage sale" this Saturday, August 15th! 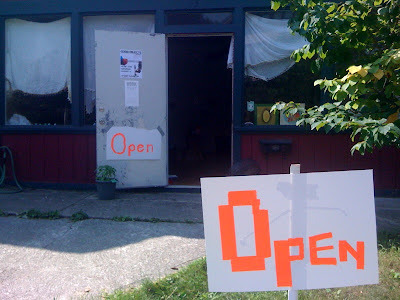 GOOD OBJECTS "a garage sale"
We hope that you will come visit our newly remodeled studio space as we try to raise a little money for our studio upgrades. 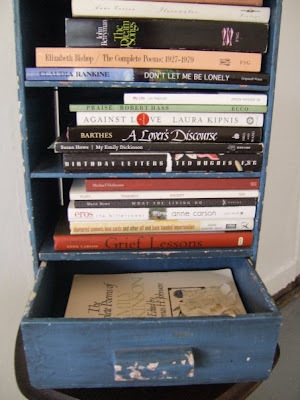 On view will be art, art supplies, t-shirts, nicely used objects and more...bring your coffee tea or other Saturday beverage and enjoy the lovely summer day with us at 13 East Tulane. We will be open and hope that you can join us! 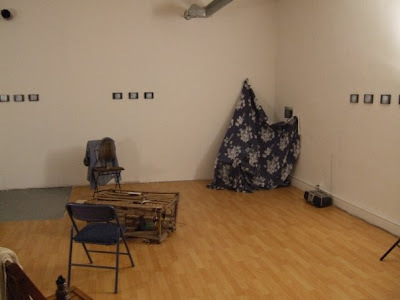 On August 8th, 13 East Tulane hosted Meg Shevenock's performance Losses's Test- a performance that layered sculpture, text, poem, installation, video, music and artifact. Below we (13 East Tulane in collaboration with Meg) are sharing some photos and Meg's comments from the evening. 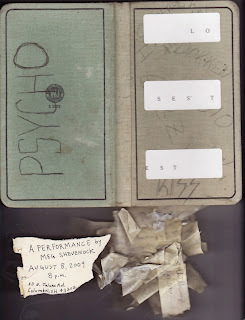 A text excerpt from the performance is coming soon. Roland Barthes, in his essay “The ‘Nautilus’ and the Drunken Boat,” writes of our desire for enclosure through the lens of Jules Verne. 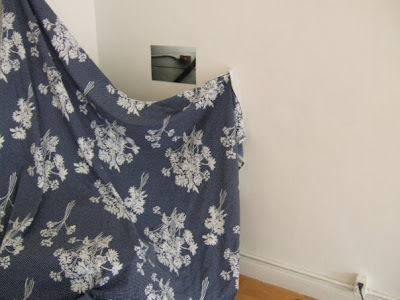 For Verne, Barthes writes, ships represent “a common delight in the finite,” and the sailor’s pleasure at his cubby below deck is akin to the child’s delight in huts, forts, tents and the like. 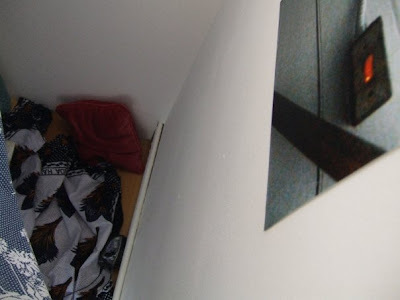 To eliminate any tug for what lay beyond the self—the elimination I sought in my chair-fort, from outer, confusing desire. On the walkman, song one: "You Can't Hurry Love," Phil Collins version. A year's worth of most dog-eared. 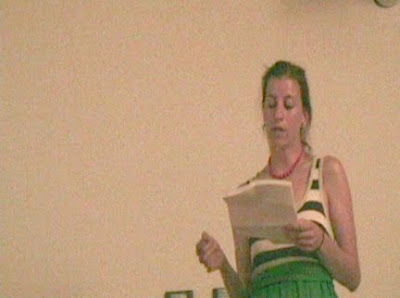 And...below are a few stills from Meg's performance/reading. 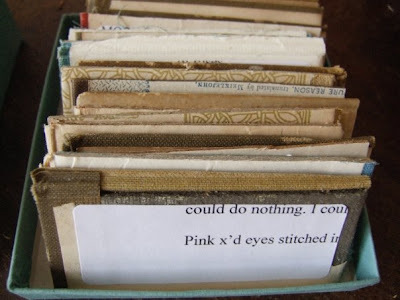 Each bundle of reading was contained, tied with twine, in a small box within this trap. 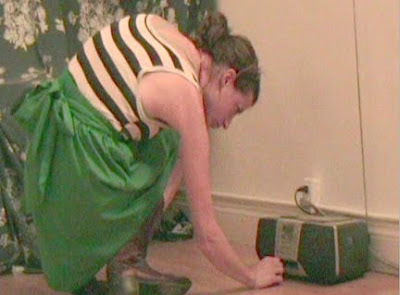 The performance concluded with Song One, "You Can't Hurry Love" Phil Collins version on the boombox. Meg Shevenock received an MFA in creative writing from the University of Florida and an MFA in sculpture from The Ohio State University. Her work has appeared in The Times Literary Supplement, Best New Poets 2006, Prairie Schooner, Denver Quarterly and the Wexner Center's Ohio's Short Film and Video Showcase, among other places. Lately her work has been driven as equally by gratitude as by loss, which is perhaps the way it always goes. She lives in Pittsburgh.